There are numerous places to eat in Branson, MO that range from inexpensive dives to luxurious fine dining. If you’ve seen our list of the best places to eat in Branson, then you probably have a few in mind that you definitely want to try! In order to help you enjoy some fantastic places to eat in Branson and save some money while doing so, we’ve put together the following list of the absolute best places to find printable Branson restaurant coupons and discounts that can help you decide exactly which places to eat at during your visit to Branson, Missouri! This list only contains the very best resources to help you cut through the clutter and get directly to the Branson restaurant coupons for each website listed! Listed below are numerous websites that offer printable Branson dining coupons for numerous places to eat in Branson, MO. Simply click the link for each one to be sent directly to their page with coupons for places to eat in Branson. The Sunny Day Guide has been around for years and can be found as a printed guide throughout various businesses in Branson. If you don’t have time to wait on the coupon pack above to be shipped to you (or if you’re already in Branson), then be sure to keep an eye out for the Sunny Day Guide as it features plenty of Branson restaurant coupons. Their website also offers numerous printable Branson dining coupons and discounts for restaurants such as Landry’s Seafood, Florentina’s Ristorante Italiano, Baldknobbers Country Restaurant, The Plantation Restaurant, and many more! The Branson Fun Guide website offers a handful of Branson restaurant coupons for places to eat such as Lilley’s Landing, Mel’s Hard Luck Diner, Fall Creek Steak & Catfish House, and more! The Joplin Globe website features pages from the Best Read Guide Branson that has a few Branson restaurant coupons. There typically aren’t as many coupons as the websites listed above, but it’s worth a look to see if it has any different or better discounts before you visit Branson. When you get to Branson (or if you happen to already be there), keep an eye out for restaurant and dining coupons for places to eat. Be sure to look at everything from brochures racks to ticket stubs from shows and attractions. Many businesses cross-promote for each other so you will often find restaurant coupons when visiting a show or attraction in Branson. 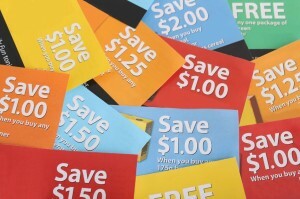 The brochure racks often have restaurant brochures that often have an exclusive coupon you may not find anywhere else. So spend just a moment when you first get to Branson glancing over the nearest brochure rack! Also check out any of the free guides and magazines that are often found at area businesses and lodging providers as these publications typically feature numerous coupons that can be cut out and used for Branson restaurants. We’ve literally poured through every website we could find that offered Branson restaurant coupons and we sorted out the best from the rest, If it’s not listed above, it’s probably not worth your time. However, if you happen to come across a great website that offers printable Branson dining coupons then please share it with us and others through the comment section below!